In Uganda, you require a permit to either trek gorillas or chimpanzees. 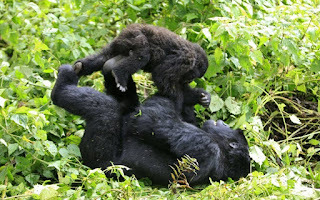 Gorilla tracking permit for Bwindi Impenetrable Forest National Park or Mugahinga Gorilla National Park costs USD600.00, This price applies to high seasons of June, July, August, September, October, December, January and February. Uganda Wildlife Authority is offering low season discounted gorilla permits in the months of April, May and November 2014 at USD450.00 enabling you to save USD150.00. 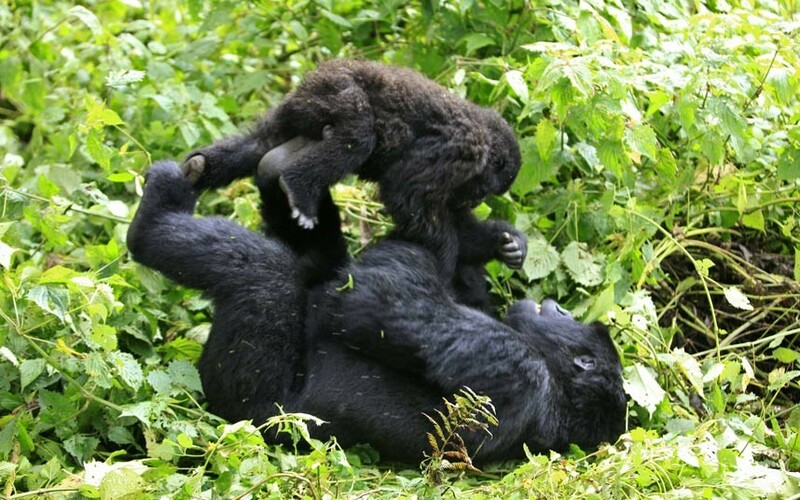 The above includes trekking gorillas, a guide for the trek and park entrance fees. Chimpanzee trekking permits in Uganda vary according to where you will be trekking them. In Kibale, a permit is USD150 while in Kyambura is at USD50.00 per person and includes guide, park entrance and viewing chimps.